Darke County Center for the Arts will present The Texas Tenors in “Deep in the Heart of Christmas” at Greenville’s St. Clair Memorial Hall on Sunday December 9; the concert begins at 7 p.m.
Darke County Center for the Arts will present The Texas Tenors in “Deep in the Heart of Christmas” at Greenville’s St. Clair Memorial Hall on Sunday December 9; the concert begins at 7 p.m. The award-winning trio, a top four finalist in the fourth season of America’s Got Talent and the highest ranking vocal group in the entire history of the show, combine country, classical, and pop influences in their highly popular performances which attract enthusiastic crowds around the nation. Their popularity is reflected locally, as according to DCCA officials, only a few single tickets remain for this special event. In addition to JC Fisher, the Texas-based tenor who originally conceived the idea of forming the group with his two best friends, members of the The Texas Tenors include Marcus Collins, who learned how to sing by emulating his favorite artists like Garth Brooks before training classically in college, and John Hagen who has performed a vast array of operatic roles and appeared on Broadway. According to Keith Rawlins, DCCA Artistic Director, his organization is thrilled to once again present The Texas Tenors. “People have requested the return of this group ever since their appearance here a few years ago and we are happy to comply with those requests; the public response to “Deep in the Heart of Christmas” has just been amazing,” Mr. Rawlins said. 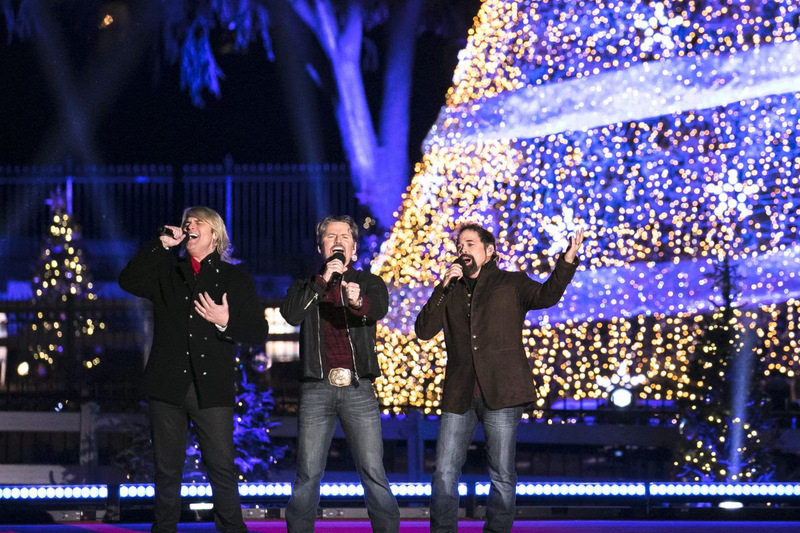 Sponsors for The Texas Tenors concert are Rodney Oda, Second National Bank, and the Bistro Off Broadway. Additionally, the Ohio Arts Council helps fund this program with state tax dollars to encourage economic growth, educational excellence and cultural enrichment for all Ohioans. DCCA also receives operating support from the Harry D. and Esther Stephens Memorial as well as funding from the Ketrow Foundation, Lydia E. Schaurer Memorial Trust Fund, and the John R. and Miriam H. Knick Fund of Darke County Foundation. DCCA membership contributions also help support this show. Additionally, Katie Gabbard of The Ivy League will set up a pop-up shop, “The Merry Maestro,” in the Main Lobby at Memorial Hall that will feature holiday merchandise including art and music-themed ornaments, specially designed stationery, and hand-made mementos featuring the Hall; twenty per cent of each purchase will benefit DCCA. “The Merry Maestro” welcomes all comers, whether or not they will be attending the concert, and will be open from 5 p.m. to 11 p.m.
For more information concerning the concert and ticket availability, contact DCCA at 937-547-0908 and dcca@darkecountyarts.org, or go to their Website at www.darkecountyarts.org.